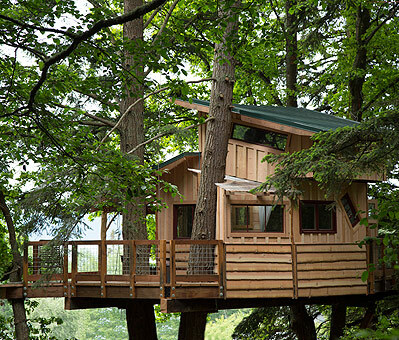 Doe Bay Resort Tree House – Orcas Island, Wa. 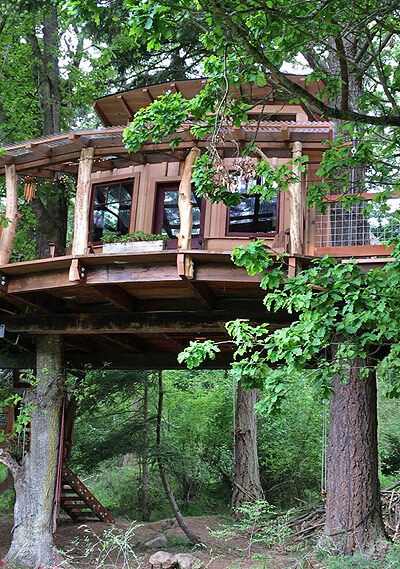 10 years ago, lead tree house rigger J’aykle (jake Jacob) got married at the beautiful Doe Bay Resort on Orcas Island, Washington. Now, in recognition of his anniversary, he was awarded the opportunity to make Doe Bay even more beautiful by building a tree house for visitors to stay overlooking the bay. Designed by B’fer with Jake as project manager and lead builder Javier at the helm. 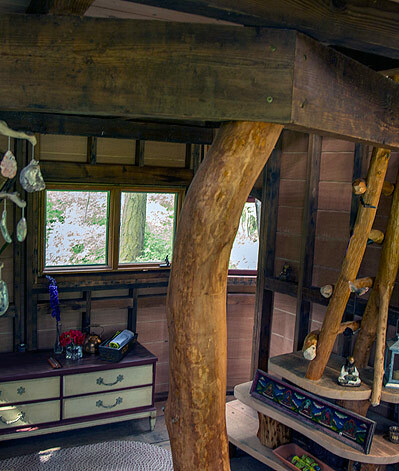 This exquisitely crafted Treehouse cabin was designed and built to be featured on the new DIY Network television show The TreeHouse Guys. This rustic two room unit features a sitting room with a pull out futon and a loft with a queen bed. 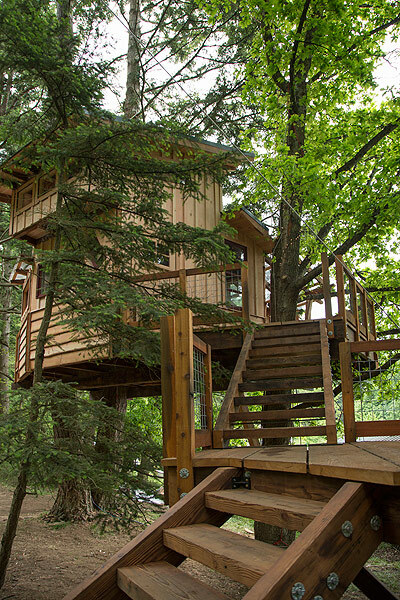 The Treehouse is not just a cabin it is an experience. 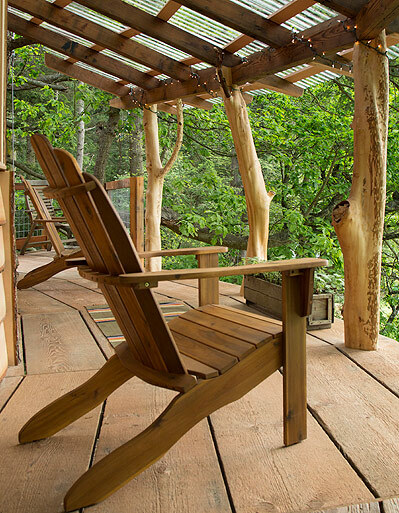 A wrap-around deck offers views across our Upper Field to the waters of Rosario Strait. Access to the loft is via a ladder so guests must have the ability to climb. Additional amenities include heat and power, a partial bath with toilet and sink, and a mini-fridge. This is a pet-free accommodation.